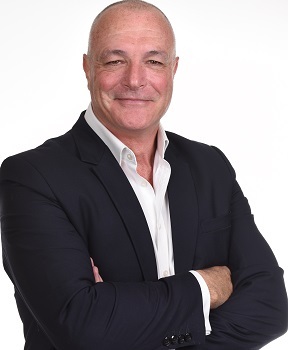 Craig keeps on top of his game by keeping fit and healthy through squash and the gym, but being up to date with changes in the Real Estate market, especially in his core areas, has Craig Wildman excelling in this competitive industry. Having personally sold M$500 worth of property in his 20 years in the Industry and being one of the State’s busiest and most respected Real Estate Auctioneers keeps Craig on his toes every weekend, be it auctioning a mansion on the Estuary in Mandurah, an apartment on the banks of the Swan or in a tree change lifestyle cottage in the hills. To say life is never dull would be an understatement! How does Craig unwind? “A passion for gardening and cooking is my time out” says Craig “and it allows me time to relax and think of strategies to sell and market properties, and plan training and staff involvement for the offices. I also love discovering new places to eat and trying new and exotic foods and then trying to replicate them in my own kitchen”. Craig thrives on competition, and achieving customer satisfaction. He works toward getting the best possible outcome for his clients and strives to achieve the area’s best prices which he believes will maintain referral business, and create new clients for life. Craig Wildman has been in the industry since 2002.